The Authentics Medieval Flail is incredible. 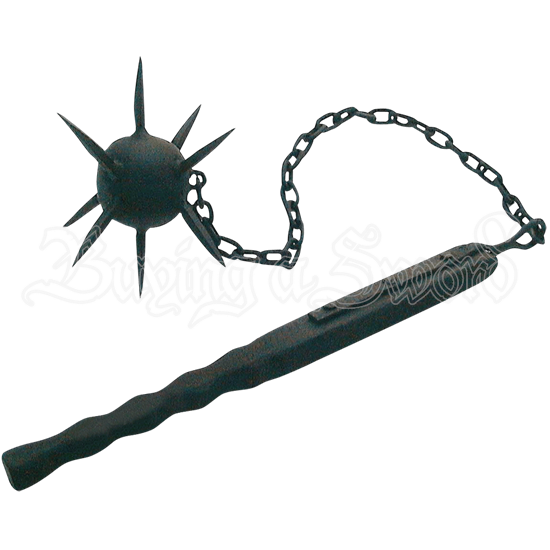 Own a true museum quality medieval flail with styling based on the actual items found in digs under and around the castles of Europe. 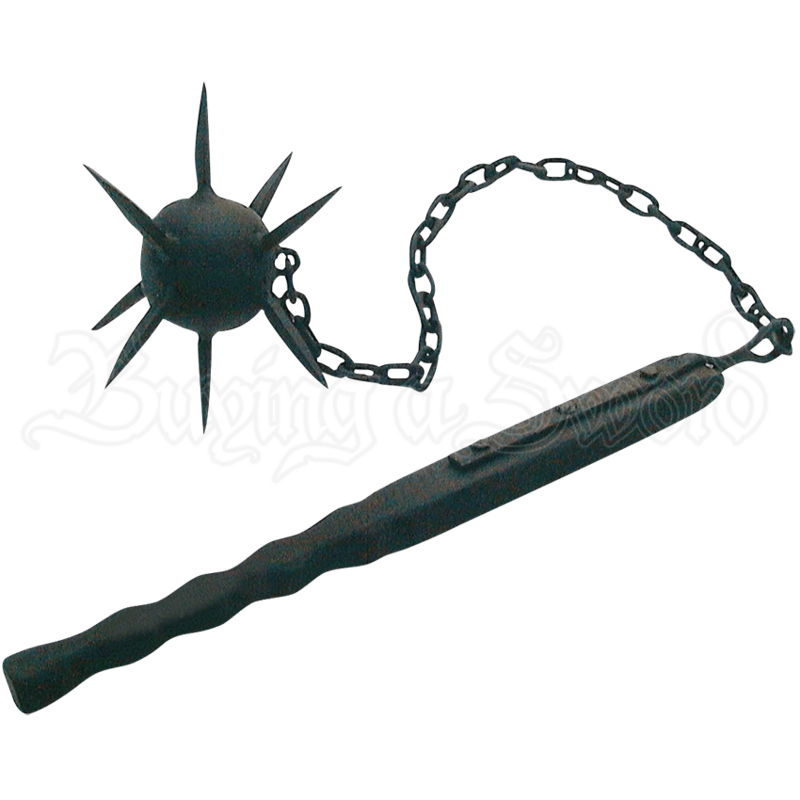 This hand crafted flail masterpiece features a blackened steel ball with spikes over 2.5 inches long attached to a blackened chain which is linked inside a hand wrought blackened steel bar. The wrought iron bar of this medieval weapon flail is secured to a seared wood handle and has an overall extended length of over 4 feet.